Among its many major discoveries, the Fantasia International Film Festival can lay ownership to what can now be called the “Unfriended” franchise. In 2014, a horror movie called “Cyber National,” which took place all on one computer screen, was soon picked up for distribution, and retitled to “Unfriended.” Four years later, Fantasia had the international premiere of its sequel, “Unfriended: Dark Web.” Curiously, after the showing on Friday night, it was announced that director Stephen Susco’s film will have two endings when it is officially released, a bid to make the movie a tempting type of game. Don't fall for it. Curiosity killed the dumb horror character, as we know from cinematic death-traps structured just like this one, but “Unfriended: Dark Web” stretches this conceit until it snaps, which happens about 15 minutes in. A lost-and-found laptop with a bunch of violent videos, ominous file names on it and even the idea of going deep into the dark web is just not that seductive of a Pandora’s Box. As “Unfriended: Dark Web” then drags viewers through its mechanical course of events, the film works like a slasher movie as presented all on one laptop screen. Nastiness is its main offer, not tension. The person who finds said laptop, Matias (Colin Woodell), soon understands from a slew of Facebook message notifications that someone who owned this computer was doing some very suspicious transactions, and is in demand from a lot of people. Then, the person who claims (in caps lock, always) that Matias stole the laptop demands it back. Matias shares this with his friends who he is simultaneously Skyping with, some of whom fill the “dumb teenagers in a haunted house” set-up, including a smart, glasses-wearing guy, and a goofy comic relief guy. But good poutine gravy are these characters dumb and the movie even more so, at times shameless for the type of tricks it tries to pull with a straight face. One of the key plot points is that Matias’ girlfriend Amaya (Stephanie Nougeras) is deaf, which makes for moments of cheap tension that are just too mean-spirited, in which she can’t hear someone lurking behind her in what’s meant to be one of the more unsettling “boogeyman” moments. Or, not a spoiler, when Matias desperately tries to convince his friends that all of the stuff was a game; they believe it, and it becomes insulting to us that the movie thinks we would accept that. All of this happens as dully presented on one screen that goes between Facebook chat to a Skype session, with too many creative liberties. However nervous the movie wants to be, it’s far too inert, and can only hand-hold the audience. One nagging idea is how the dark web boogeyman can type in black text within one of Matias’ Facebook chats with another friend, accompanied every time by an overeager boom from the sound design. Of course, said messages then dramatically vanish. For a movie that wants to be scary because of its real-life possibility, it’s a carelessly broad depiction. “Unfriended: Dark Web” may compel you to cover the cameras on your electronic devices, but its filmmaking will be rendered obsolete when the superior screen-based thriller “Searching,” also produced by Timur Bekmambetov, comes out next month, or plays Fantasia next week. On the other hand, “Tales from the Hood 2” proves that there should be approximately a hundred more films to that franchise’s name. 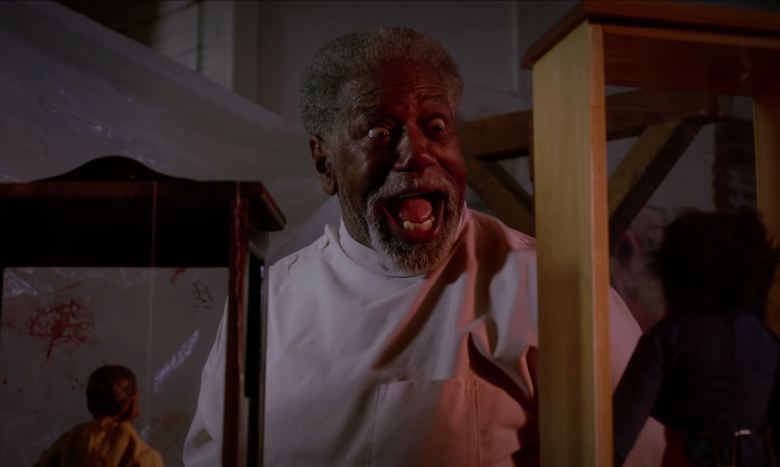 It’s been 23 years since the film installment of this horror anthology, which like its sequel, was directed by Darin Scott and Rusty Cundieff, and executive produced by Spike Lee. If it even needs to be pointed out, those shorts, which tackled police brutality, violent families, the destruction of black bodies and more, are still as immediate and disturbing in 2018. It feels particularly fitting to talk about them together, so take this as not just a recommendation for “Tales of the Hood 2” but also “Tales from the Hood.” “Tales from the Hood 2” is similar to the first installment in a lot of ways, in particular because it comes with special horror branding: shorts that welcome viewers with campiness and overt horror beats, but achieve their thrills out of Scott and Cundieff's serious messages about history. Here, two young women (one Caucasian, one African American) carelessly wander into a museum filled with racist toys, and antiques from a time not removed from our own. They’re lectured by an owner of the museum about the real horror behind those images, with an emphasis on trying to devalue black lives with such awful depictions. They're explicitly told not to mess with these pieces of history, but it falls on deaf ears. I wouldn’t dare spoil what happens next, but the gory, shocking, funny and unforgettable images that result are the values of “Tales from the Hood” movies at their best: these shorts are not afraid to go beyond what you might expect. They can be bombastic and poignant all the same, with thrills and a message. And in a way that's different from so many horror anthologies, these are parables are primed for discussion as much as entertainment. Made on a smaller scale than its predecessor, “Tales from the Hood 2” is rough around the edges filmmaking-wise, and its writing can be a bit shaky: a slow-burn short about predatory bros feels like a weak corrective to the often male-focused perspectives in their storytelling. And the second short, about a psychic, takes a bit too long to get to its albeit outrageous comedic pay-off. But the last short in this sequel, which mixes real-life history with a nightmare about a black conservative man, is one of the most audacious from both films. It won’t be spoiled here, but it’s a great example of the “Tales from the Hood” movies coming into their own, still thinking of horror way beyond jack-in-the-box thrills. As horror fans chew on the notion of “elevated horror” considering the likes of “Get Out" (referring to movies that use genre thrills to explore political messages), “Tales from the Hood 2” proves Cundieff and Scott have been thinking at that level the whole time. One of the best movies I’ve seen at Fantasia so far is one of its most minimal: the exciting mash-up of a solo survival movie and the threat of a single zombie bite. “The Night Eats the World,” based on the novel by Pit Agarmen, is a terrific showcase in particular for Anders Danielsen Lie, previously of “Oslo, August 31st” and “Reprise.” Like the best movies that isolate us with one actor as they navigate and adapt to their deadly surroundings, it locks us into the psychology of Lie’s character Sam, who is the only living soul, as far as the eye can see, after an overnight zombie apocalypse. 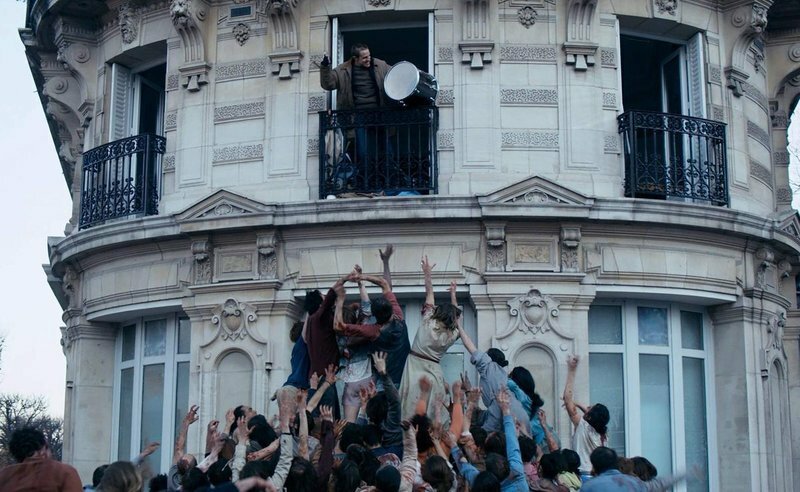 With his Paris apartment building functioning as a type of fort, Sam’s exploration of the building for life substances and through other life stories highlights one of the character-driven film’s best aspects: it’s not a movie you can get a step ahead of. We're with him in an open world, and we're more worried about him going crazy than him being bitten. Lie is so charismatic as our surrogate into this experience that the spacious movie feels full enough, even if the plot becomes mostly about his endurance physically and mentally.